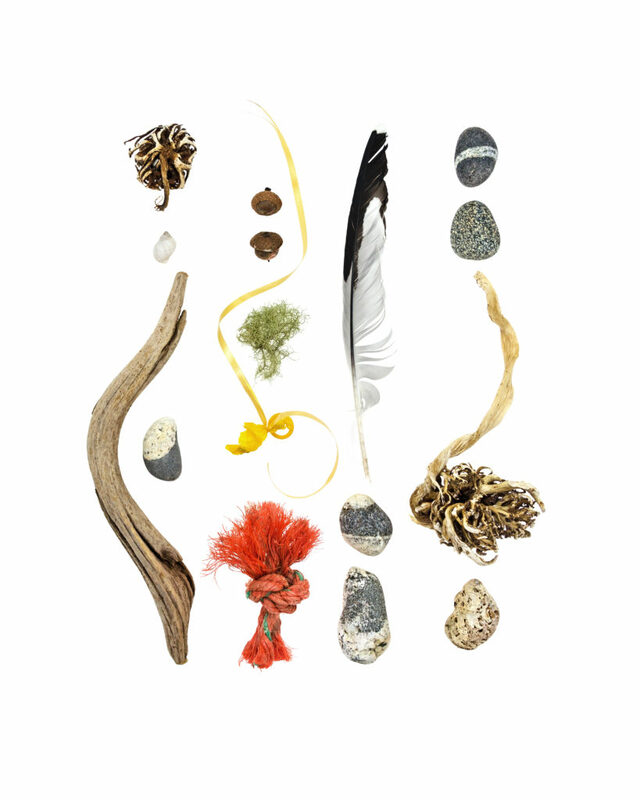 The first three photos are from the "Beachcombing Series." I live on Mount Desert Island, and I beachcomb all year round. I'm fascinated by the life of the shoreline, and curious about everything I see, from the bedrock to the birds - from 'what made the hole in this shell' to 'what are the old wooden posts just offshore?' 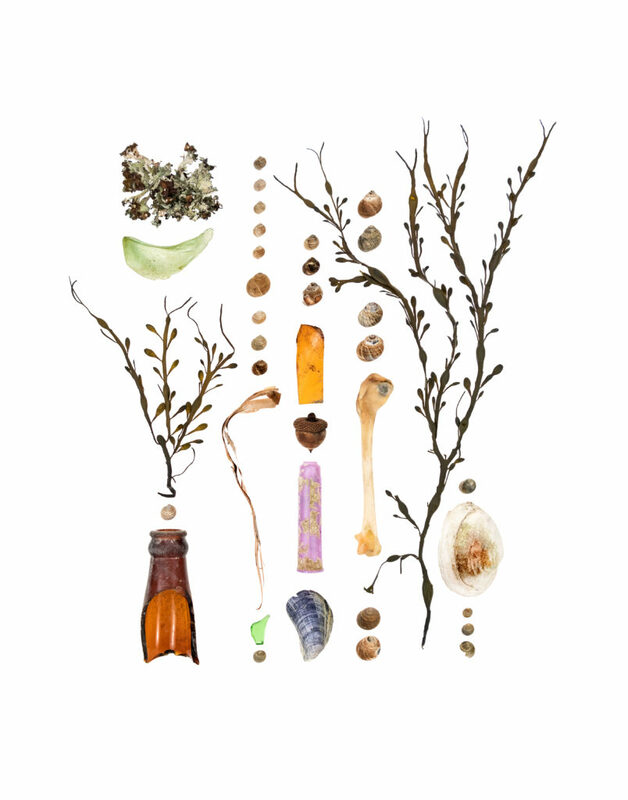 That curiosity has grown into a series of still life photos that I've been working on for 9 years, called "The Beachcombing Series," in which I explore the overlapping forces and life forms that coexist on the shoreline. 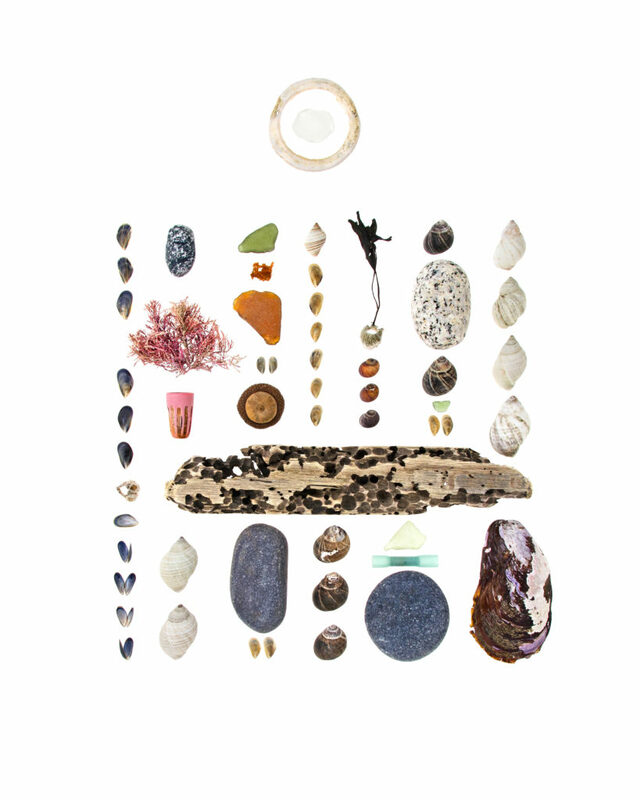 Each photo in the series documents the things I found on a particular beach on a particular day: the title of each photo is the name of the beach and the date on which I found those objects. My walks on the beach become a poetic transect of the littoral zone, and the items I pick up are points of intersection between myself and the life of the shore - between the fisherman who cut this piece of rope and the bird who dropped this feather and the winds and gyres and wave patterns that left them next to each other in my path. The ways humans use the shore, for industry and for pleasure, combined with the non-human ecosystems that meet and intertwine, and the migration of trash within the watershed and from the sea all create layers on the shore. The still lives plot those points of intersection, searching for a visual synthesis of all the forces at work and the interconnected usages of the tidal zone. The last two photos are from the "Healthcare Series." For five years I suffered from a mysterious, wracking cough that left me bedridden every winter. After years of misdiagnosis as asthma, I was aggressively treated for severe acid reflux and allergic rhinitis (by aggressively, I mean surgery, medication, strict diet, and 3 years of allergy shots), and have been cough-free for several winters. During the years when various doctors were treating me for asthma, one of their more desperate attempts to get me some relief from the coughing spasms was nebulized Lidocaine. I saved the bottles, knowing someday I’d find a way to use them. The first photo began as both a celebration of my own healing, and an expression of frustration with how long it took to get treatment. The series got darker with the second photo. 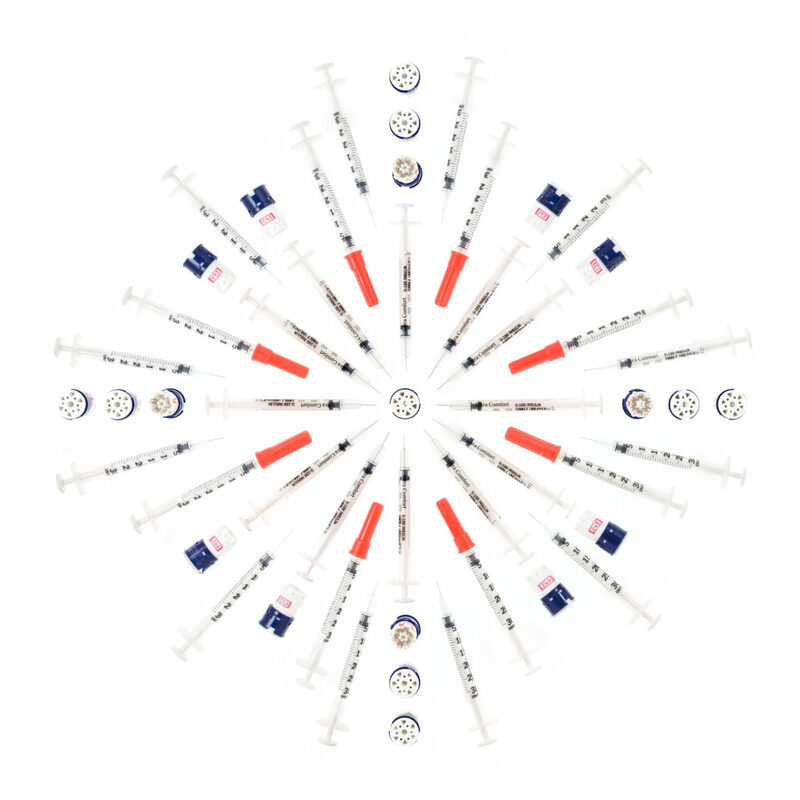 In 2017, when it looked like the Affordable Care Act would be repealed with no replacement and a group of us were talking about ways to communicate with our members of Congress, one of my friends pulled out an enormous bag of her diabetic daughter’s syringes (only a few days worth! ), and said she was tempted to go to Washington and dump it out on our senator’s desk. I borrowed it first, and the series has become a meditation on the expense and difficulty and physical pain of managing chronic illness.